You captured the essence of spring right there! Great lighting. 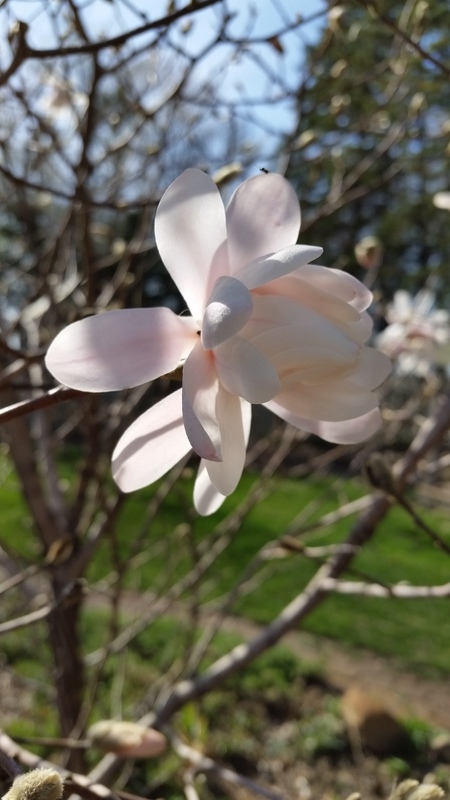 I love to see the blossoms pop on my Magnolia. Started this from a small 1 gallon pot size, and it has reached a nice size now. Hope it hangs onto those flowers this week. ohlalalala, the most delicates of pink there! It’s a pretty shade of spring!